This is such a great product - it has SO many great uses from nursing cover, to blanket, to baby carrier, stroller, or carseat cover. It is adjustable and has snaps to help you utilize it in many different ways. And most importantly (in my opinion) it is INCREDIBLY snuggly and so soft! This is a great product that can grow with your child from infanthood through toddlerhood. My 16 year old (ok, and I did too) thought about confiscating this for ourselves - the furry soft lining is just so cozy and feels very nice against your skin. Any baby or child would love having one of these to cuddle up with. Lindsey is 17 months old now, and I know she will get years of use out of the Kurumi Ket - for now I'm sure it will primarily be a snuggle buddy that we keep in her playroom, but it is perfect for a warming layer to keep over her when in her carseat for trips out during these colder months, and will be nice as a blanket she can cuddle up to her in crib at night or during naps (Lindsey has to have a soft fuzzy blanket to wrap herself in and cuddle with at bedtime)! 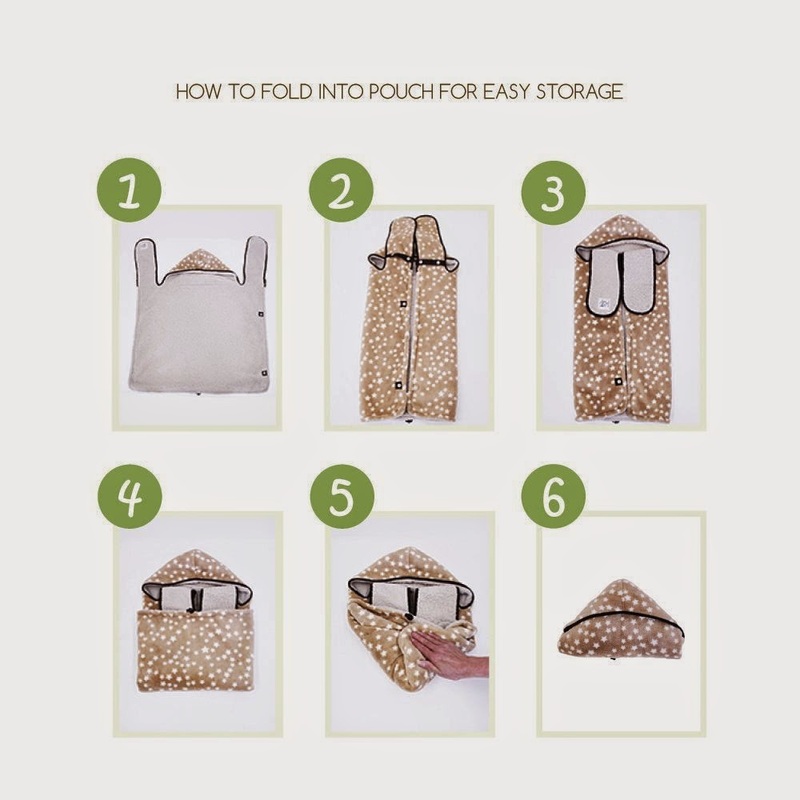 A great space saving feature of the Kurumi Ket is that it folds into it's own pouch when you need to store it or pack it for travel! Ground breaking MULTI-FUNCTIONAL BABY CARRIER COVER also moonlights as a Stroller Cover, Nursing Cover, a Poncho, and a Super Snugly Blankie. Its versatile design means that you can use it in various ways, and it is suitable for newborn babies, up to children of 5 years old. Kurumi Ket GROWS WITH BABY! Perfect for newborns, perfect for toddlers. Stay warm and snuggly all winter with 5 uses! This is the one and only Baby Carrier Cover (and stroller cover, nursing cover...) you will need! *Full Disclosure: I received complimentary product from Lucky Baby World for the purpose of review. I received no compensation for this post. All comments are 100% accurate and 100% my own.